In this edition we have two keynote speakers: Ricardo Baeza-Yates and Jiri Matas. Abstract: In this talk we survey how similarity plays an important role in many aspects of Web search, from crawling to indexing and from ranking to query recommendations. This implies similarity of different objects including text of web pages, web links, and web queries. Some similarities are measured directly while other similarities are inferred indirectly. Sometimes the similarity measure can be precomputed while other times needs to be calculated online. Bio: Ricardo Baeza-Yates is VP of Yahoo! 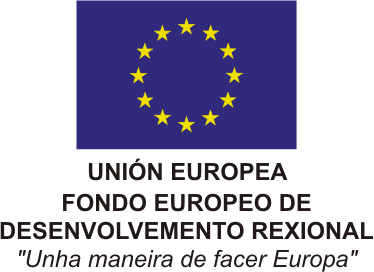 Research for Europe and Latin America, leading the labs at Barcelona, Spain and Santiago, Chile, since 2006, as well as supervising the lab in Haifa, Israel since 2008. He is also part time Professor at the Dept. of Information and Communication Technologies of the Universitat Pompeu Fabra in Barcelona, Spain, since 2005. Until 2005 he was Professor and Director of the Center for Web Research at the Department of Computer Science of the Engineering School of the University of Chile. He obtained a Ph.D. from the University of Waterloo, Canada, in 1989. Before he obtained two masters (M.Sc. CS & M.Eng. EE) and the electrical engineering degree from the University of Chile, Santiago.He is co-author of the best-seller Modern Information Retrieval textbook, published in 1999 by Addison-Wesley with a second enlarged edition in 2011, as well as co-author of the 2nd edition of the Handbook of Algorithms and Data Structures, Addison-Wesley, 1991; and co-editor of Information Retrieval: Algorithms and Data Structures, Prentice-Hall, 1992, among more than 300 other publications. He has received the Organization of American States award for young researchers in exact sciences (1993) and the CLEI Latin American distinction for contributions to CS in the region (2009). In 2003 he was the first computer scientist to be elected to the Chilean Academy of Sciences. During 2007 he was awarded the Graham Medal for innovation in computing, given by the University of Waterloo to distinguished ex-alumni. In 2009 he was named ACM Fellow and in 2011 IEEE Fellow. Abstract: I will start the talk by presenting the state of the art in visual retrieval of specific objects. The core steps of the standard pipeline will be introduced and recent development improving both precision and recall as well as the memory footprint will be reviewed. The capabilities and limitations of current visual retrieval will be demonstrated on the CMP::G2 retrieval engine. Next, I will describe two new methods for large scale object retrieval, showing that the classical ranking of images based on similarity addresses only one, and possibly not very common, user requirement. The novel retrieval methods add zoom-in and zoom-out querying capabilities and answer the "What is this?" and "Where is this?" Bio: Jiri Matas is a full professor at the Center for Machine Perception, Czech Technical University in Prague. He holds a PhD degree from the University of Surrey, UK (1995). He has published more than 200 papers in refereed journals and conferences. His publications have approximately 5000 citations in the ISI Thomson-Reuters Science Citation Index and about 13000 in Google scholar. His h-index is 23 (Thomson-Reuters Web of Science) and 39 (Google scholar) respectively. He received the best paper prize at the British Machine Vision Conferences in 2002 and 2005 and at the Asian Conference on Computer Vision in 2007. J. Matas has served in various roles at major international computer vision conferences (e.g. ICCV, CVPR, ICPR, NIPS, ECCV), co-chairing ECCV 2004 and CVPR 2007. He is on the editorial board of IJCV and was the Associate Editor-in-Chief of IEEE T. PAMI. His research interests include object recognition, image retrieval, tracking, sequential pattern recognition, invariant feature detection, and Hough Transform and RANSAC-type optimization.